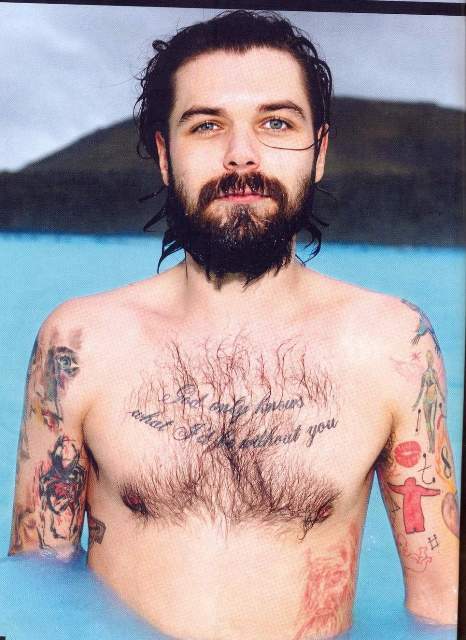 The famous Scottish rockers Biffy Clyro band’s hottest and most incredible frontman- Simon Neil is like a Tattoo God. 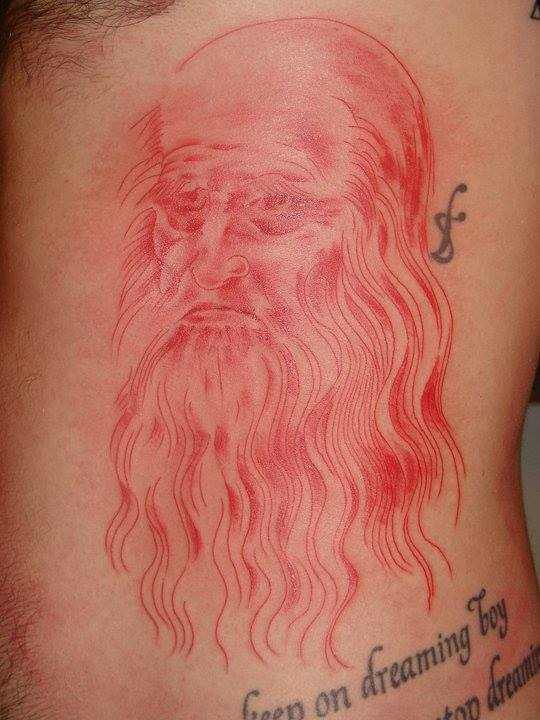 Even though his whole body is filled up with many tattoos, most of his inks have some significance and make up a statement. 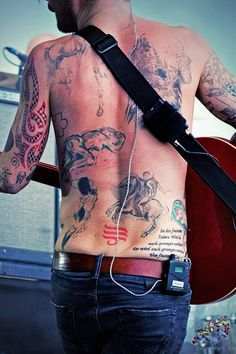 Every tattoo on his body makes up a one piece of the puzzle of how this singer perceives life and his take on his music, love, relationships, band and so on. He says that it all forms a story of his life! 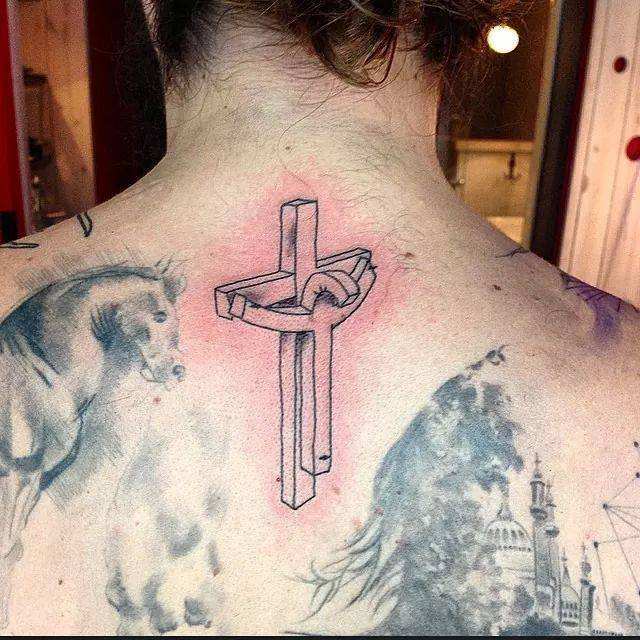 Even though there is no evidence of several tattoos which Simon has, let’s check out few of them with some photographs. 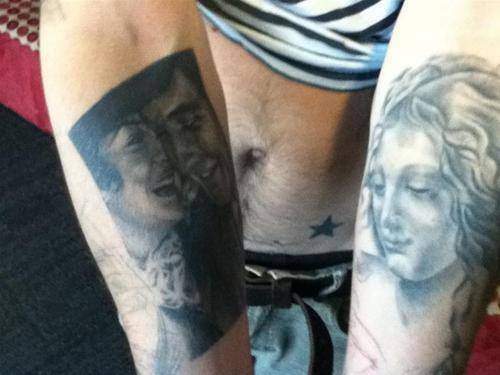 Simon has got many tattoos for his wife, and this is one of them. 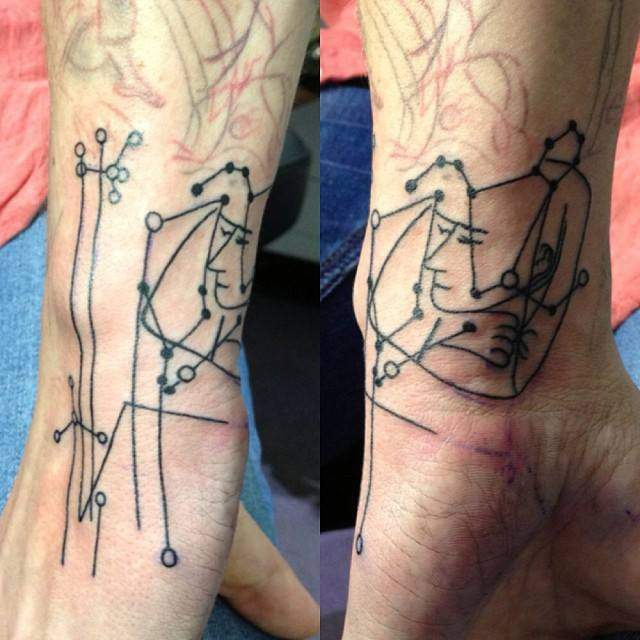 He got a piece of the feeling of echo which signifies belonging together and loves conquering all, even death. It is inspired by bravery and toughness of love of his grandparents. 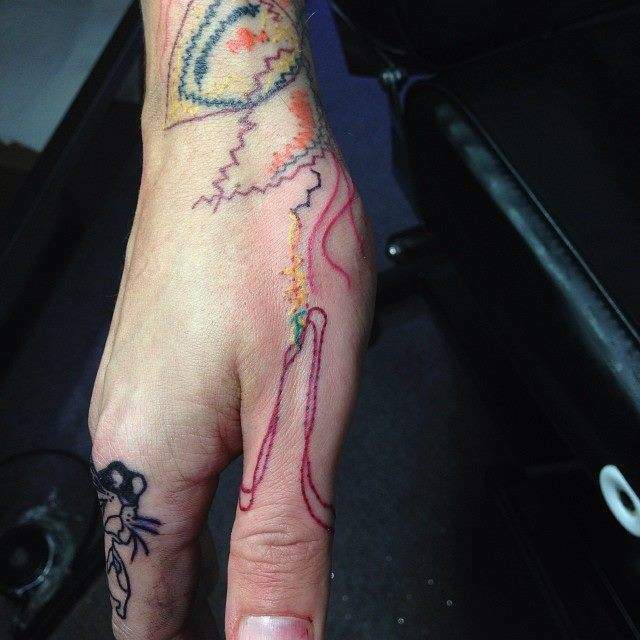 Few of his finger tattoos signify his three dogs, he owned. 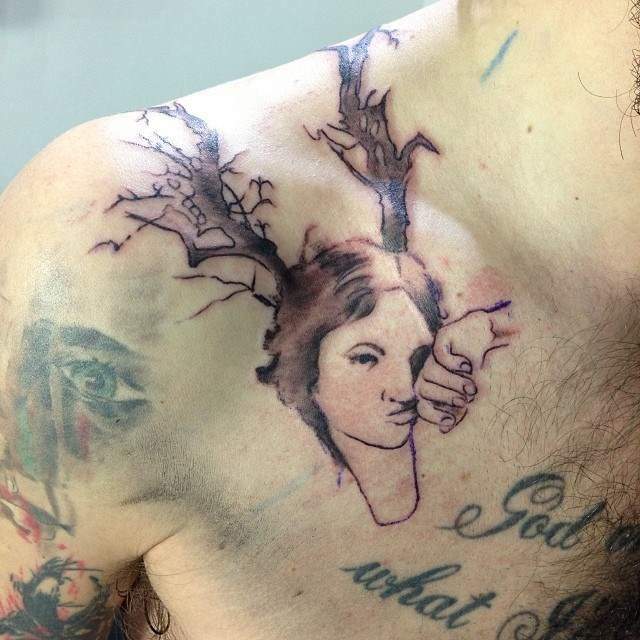 Simon Neil was very much into the findings and reading of Da Vinci and also got few of his tattoos based on them. The above three are all from that reference. Simon got the lyrics of his, and his wife’s favourite songs inked on his chest. 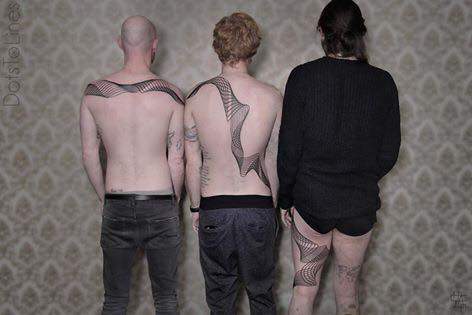 Puzzle tattoo is about one of the albums of Simon’s band. 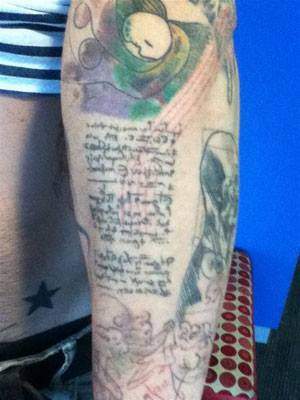 This tattoo was to honour a lyricist whose lyrics to a song were inked by Simon. Artist DotsToLine came up with joining spiral artwork for all the three members of band signifying their love towards music and each other. 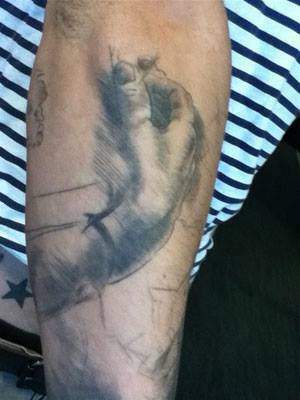 The painting done by Simon’s mother is also inked on him which is very close to his heart. 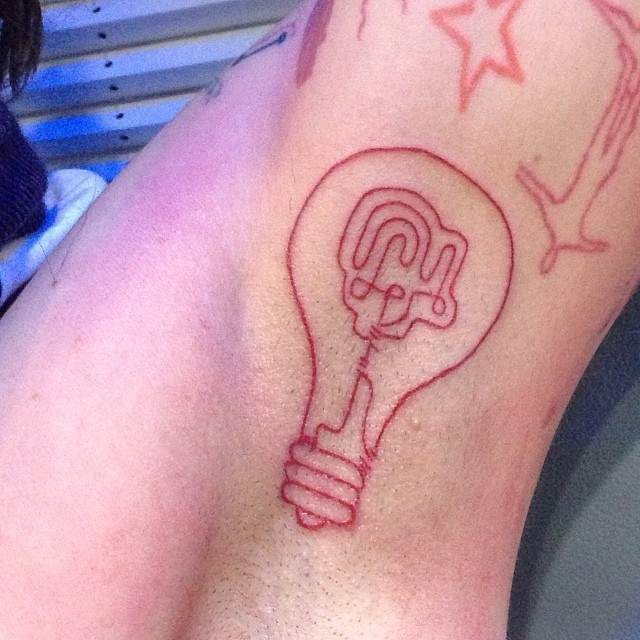 At the bottom of the back of Simon has a red symbol tattoo which his girlfriend (now wife) got him on his 21st birthday. 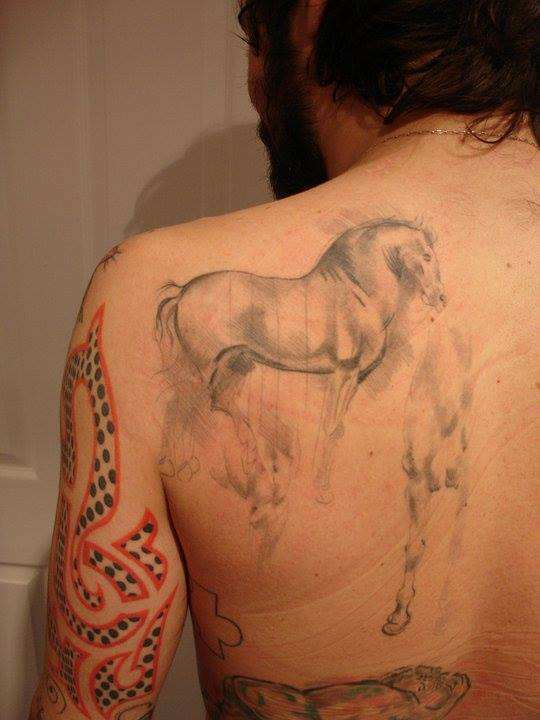 It is A Perfect Circle’s debut album “Mer de Noms”, and even though he is not a fan of a band, he loves his first ink as his wife got him this. 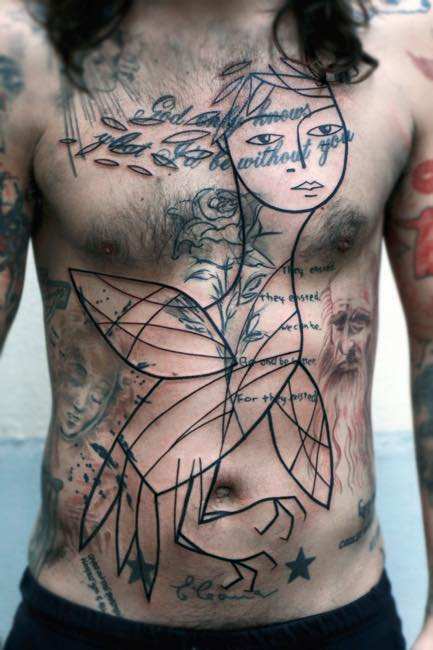 Apart from the above-mentioned tattoos of Simon, we are sure there are many on him which are hard to locate on his body. 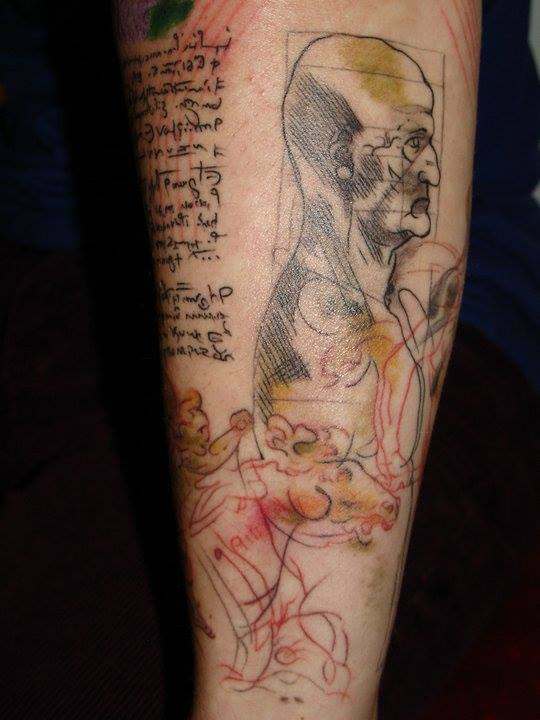 While some of his tattoos are in reference to his songs and albums, many signify his love and dedication towards important people in his life and his music.